简介: Explore the history and practice of physical theatre training using internationally recognised approach to acting: biomechanics. 简介: Learn the basics of Java programming by developing a simple mobile game that you can run on your computer, Android phone, or tablet. 简介: Discover how modern genetics has revolutionised approaches to the detection and treatment of cancer. 简介: What causes armed conflict in the world today? Causes of War examines current thinking on this critical question in world affairs. 简介: This course aims to explain the science of climate change, the risks it poses and the solutions available to reduce those risks. 简介: This course is a technical ear training programme designed to improve critical listening in a music studio context. 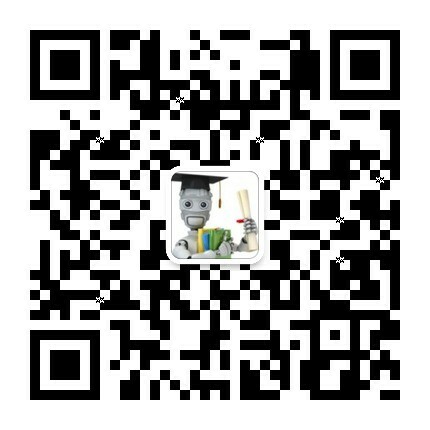 简介: An entertaining and illuminating course for everyone to explore the impact dentistry has on our lives. 简介: Explore 15th century England through archaeology, history and literature against the backdrop of the excavation of Richard III. 简介: Explore the anatomy of the human abdomen and appreciate its clinical importance. 简介: Explore the half of our world covered by deep ocean, and how our lives affect the hidden face of our planet. 简介: Making decisions about managing natural resources can be difficult; this course explores why fairness needs to be part of policy. 简介: This course explores how the police use science in criminal investigations and how it interacts with the criminal justice system. 简介: This course introduces what we already know, and what we are still discovering about the form and function of the human brain. 简介: The fundamentals of Parkinson's disease. 简介: How do we read and model fictional minds? Introducing cognitive poetics: the application of cognitive science to literary reading. 简介: This course introduces the learner to issues around the use of public space to express identity. 简介: Learn how to achieve consistent and excellent results in all aspects of dental photography. 简介: Managing the innovation process is neither a scientific process nor a black art. We will explore a model for innovation. 简介: An ideal introduction for those interested in understanding how genetics influences the development and spread of cancer. 简介: Gain an understanding of the natural world, how the web of life works, with illustrations from around the world. 简介: The methods and scientific underpinning of forensic science, from crime scene investigation to reporting evidential value within a case. 简介: Are you a professional interested in sustainable development? This course looks at integrating a sustainable development strategy. 简介: Explore the many moons of our Solar System. Find out what makes them special. Should we send humans to our Moon again? 简介: Develop your understanding of Muslims and their faith through an exploration of communities in Britain. 简介: Together with the Shakespeare Birthplace Trust, Professor Jonathan Bate explores Shakespeare, his works and the world he lived in. 简介: Academics from the Shakespeare Institute introduce aspects of the most famous play ever written - its origins, texts, and history. 简介: Join us for an introduction to the major global issue of sustainability and discover how you can have a real impact on our future. 简介: This two part course is for Primary and Secondary School teachers who are preparing to tackle the new computing curriculum. 简介: Explore how to make better personal and professional decisions, and consider the psychological dimension to some key ethical and political choices facing the world. 简介: Get under the skin of brands as we reveal the secret powers behind the most potent commercial and cultural force on the planet. 简介: How do addictions develop? How are they best treated and how are they prevented? This course explores these key questions further. 简介: Explore how the web has changed our world in the past 25 years and what might happen next.